I think Eric Broadley designed the greatest sportscars out there for many years, especially the three-litre and the two-litre cars. I went testing with Eric at Paul Ricard. 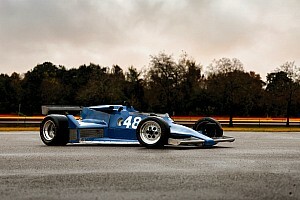 I’d driven the Mirage, but this was the Cosworth-engined T280 and it was a glorious car to drive. I went, ‘Wow, I wish this was the car that I had experienced more of’. Eric used to spread out all the drawing sheets of the car and say that we could raise that and you could see him changing pick-up points. 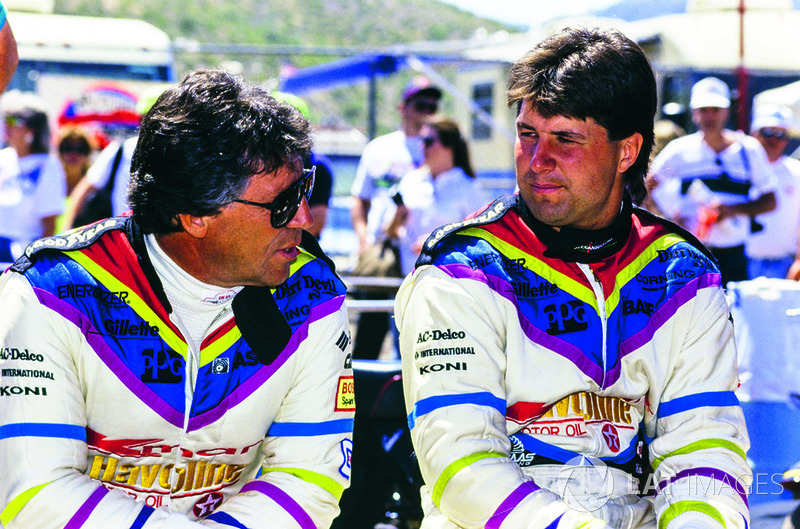 They made a really great car and Eric did it all – Formula 3, 2 and Formula 1 and then Indycar and sportscars. He was just incredibly versatile. To work with him was just brilliant: he was so meticulous. The only Lola that I can claim to have worked on solely from scratch is the T250 SuperVee. We tended to share out a lot of the work and I did a lot on the T260, the Can-Am car that Jackie Stewart drove, and worked on the two and three-litre sportscars, plus the Atlantic car. We gained so much experience by being involved in all these other cars. Lola was one of the main production racing car manufacturers at the time, but the next move I made was to McLaren and F1 was a very different environment. Even then, the ratio of cost-to-part design was already on a scale totally different to Lola – at Lola you were making stuff to sell so you couldn’t just do something that was super-complicated. The attitude in F1 was, ‘What’s the best part I can do for this job’. Eric Broadley was great, a super bloke. He didn’t get the recognition he deserved, but he had one annoying habit. You’d be drawing up a chassis, and you’d carefully worked out all the pickup points for the suspension geometry that he’d given you, then Eric would come along and say, ‘I’ve been thinking, we ought to change the roll centre, make this wishbone longer, move this point up’. And you’d just think, ‘Oh Eric!’ But we just got used to it. It teaches you to get around problems. Our T297 has done far more Le Mans that anyone would believe. I think the chassis was old when we got it and Dorset Racing was run on a shoestring budget. The car was so good, when the requirement was for the chassis to be modernised they went to the factory and bought another chassis plate. It’s absolutely gorgeous to drive. I went from historic cars straight into that at Le Mans and it felt terrific. I never had a moment of thinking, ‘Wow, this is really difficult’. Partly, I think, because the wing really works on it. 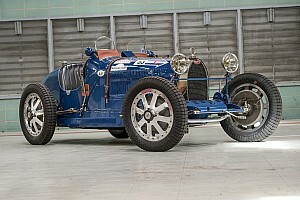 I’d never driven anything with ground-effect or a wing, so in this regard the stability was absolutely stunning. It was a fantastic car. 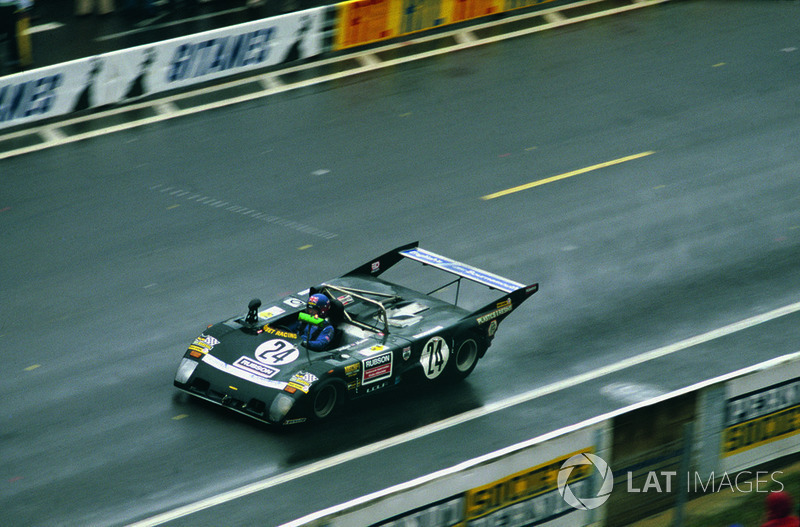 I drove it at two Le Mans in ’79 (below) and ’80 and then in ’81 at the Nurburgring. It finished every time and as most of my collection is about history connected to me I’d be loathe to part with it. We’ve probably rebuilt it a couple of times now but it’s one of those relatively modern racing cars where it all works rather well, with a proper tub and all the bits are interconnected. 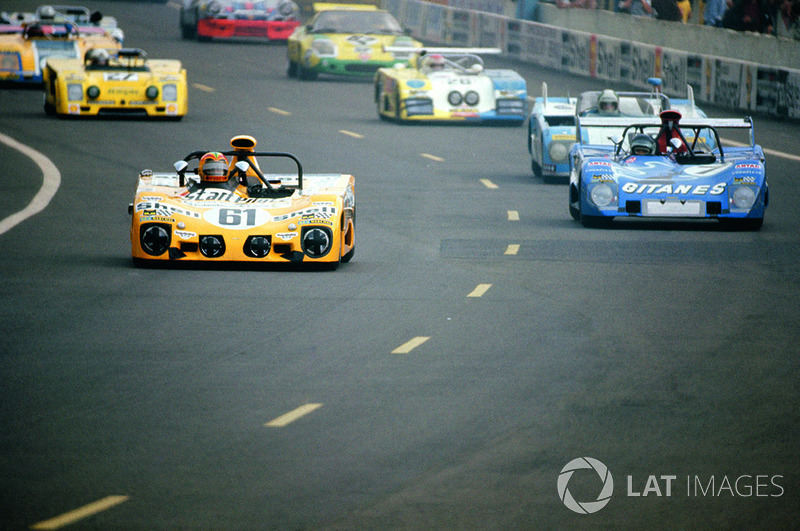 I raced at Le Mans with Martin Birrane, he was a lovely man. I think Lola were very lucky to have him on board because he’d driven the cars and knew how good they were. The reason I ended up racing the Lola T640 in Formula Ford 1600 in 1982 was that Ralph Firman turned me down for a Van Diemen works drive. I’d seen a picture of Michael Andretti racing this new Lola over in the States in Autosport, so I gave Eric Broadley a call and asked if I could have a car. Eric was really helpful and I remember getting some kind of deal out of him. He came to some of our tests, and then for the Formula Ford Festival at Brands Hatch I had two cars and two works Minister engines. I won the Townsend Thoresen title and should have won the RAC championship, too, but Mauricio Gugelmin in one of the works Van Diemens took me off when I only had to finish second to beat him. He went out of the Festival trying to overtake me for the lead at Clearways. It was poetic justice really. 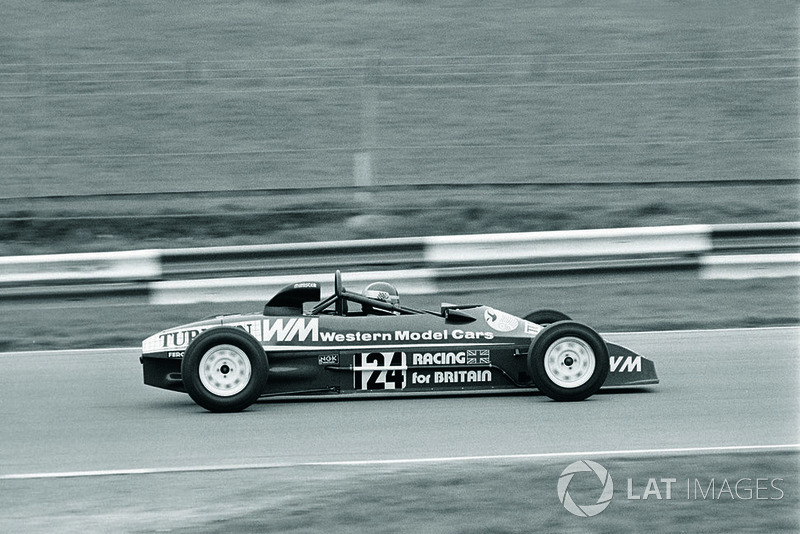 That Lola was a great car and certainly a match for the Van Diemen everywhere. Ralph regretted his decision. During the year, he tried to get me to drive for him. He offered me a free seat and £100 a week. When we were doing the T800 Indycar there was only Nigel Bennett and myself doing the design and drafting. I was doing everything from the engine-tank interface backwards, which included two separate geometries for road courses and ovals that were significantly different. One Friday I told Eric I was running out of time to do the bellhousing. The next morning I went in and on the bench was a DFV block and behind it, balanced on a tea cup and some blocks of wood, was a turbocharger. And there was Eric, ruler in hand, sketching a bellhousing. It was like a proper artist’s drawing and looked 3D. When the part came back [made from this life-like drawing] all it needed was a bit of grinding – which was normal at the time – and the turbo dropped straight in. Eric loved doing windtunnel stuff if you were making big gains. Everyone says he was just a chassis and suspension man, but it’s not true. The reason we often did cars without putting them in the windtunnel was time – he’d sign the deals so late. During the Indycar aero development if we had a good week and found lots of efficient downforce he would treat us to dinner at his favourite Chelsea restaurant. If we had a bad week it was straight back to Huntingdon via McDonalds in High Street Kensington. was still an aluminium tub so it was a bit of a flexible flyer. It was really a handful at Atlanta, the first race that year. But it helped that Eric was a bit of maverick, so if an idea didn’t work, he was willing to go testing and think outside the box, and I think we were all enthusiastic. I always liked being more than just a driver in the team, and I think we all got really motivated about this project working together. Tony Cicale was on my side, thankfully, and we started making aerodynamic gains and the car got better and better. I got pole at Road Atlanta and then we started getting some consistency too. That was very rewarding, and I think of that time as being very like when I joined Lotus in ’76 – the car was a piece of crap at the start of the year, and by the end it was competitive [Mario finished third in the ’83 championship], and led to great things. Nigel Bennett joined the team for 1984 and we were off and running. I’d pushed like hell for Nigel to be on the team because he’d done some great work at Lotus and really understood aerodynamics, and the combination of him and Tony was fantastic. We were competitive pretty much everywhere and we won a bunch of races and the championship in the T800. we couldn’t get a finish. We got so many poles and led so many races that year, but only got two wins. We had Adrian Newey on the team and he and I really connected. 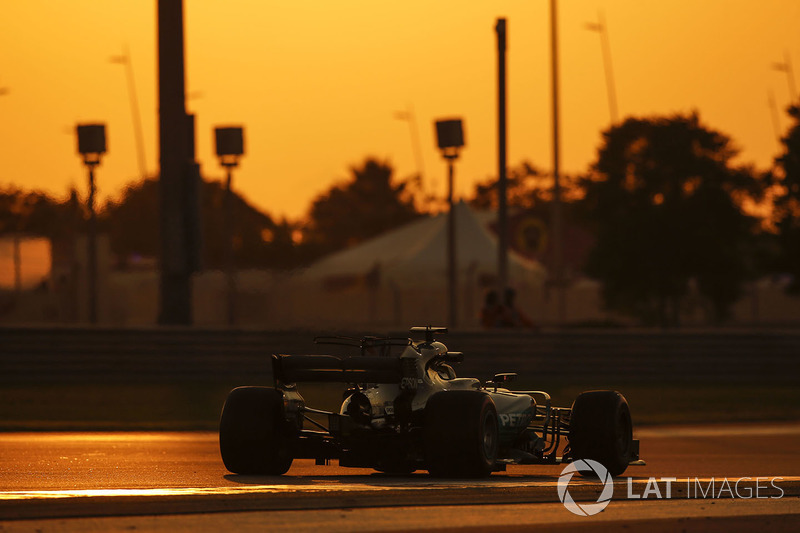 I remember at Indy that year, we were on pole and just before the start, he looked at the ambient temperature and the way the wind was blowing, and we changed the front springs – just a slight percentage change in the overall scheme of things – but I tell you, that car was so dialled in. 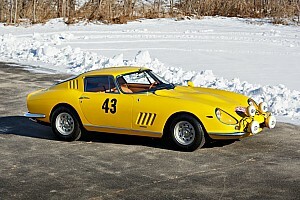 I never had a car that was so well balanced the entire race, whatever the track temperature, whatever the fuel load. It felt like I could have lapped the field five times! And then the engine let go due to the harmonics of running it at lower revs. Taking it easy actually cost us. About one-third of my wins came in Lola cars, and I won my first championship in a Lola, so the brand still means a great deal to me, which is why I’ve named my miniature schnauzer Lola. 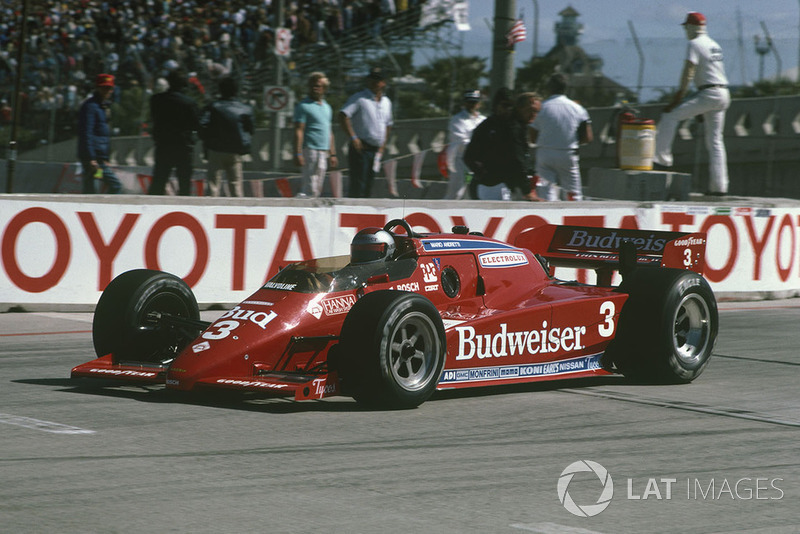 When I first ran a Lola in 1985 for Doug Shierson, I pretty quickly discovered it had a much wider envelope of operation than the Marches I’d raced in my first two years. 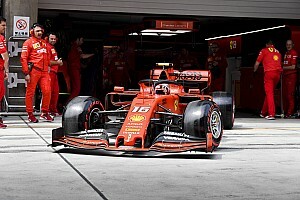 They had been very sensitive to changes in conditions, so it was much harder to find a set-up that worked at each track. With the Lola, you could get close on set-up and be fast, and then you just fine-tuned it to be faster than the other Lolas. So I was heartbroken when Doug called me at the end of 1986 and said we were switching to March. I was like, ‘You’ve got to be kidding me,’ but he said, ‘Hey, they offered me a better deal’. At the end of that year, I switched to Rick Galles’ team, even though they were also running Marches, and actually we got that ’88 March running good [he was second in the championship]. But still I was dying to get back in the Lola and Rick Galles agreed that’s what he’d do for ’89. Towards the end of the ’89 season, we found some development areas that we could explore and made some steps with the T89/00 that we hoped to adopt on the ’90 car, and sure enough, they worked. The car worked well everywhere that year, and we scored six wins and won the championship. And we beat Michael Andretti with the same car… or I should say, what started out as the same car. All the teams back then could make their own engineering changes and build their own pieces for the basic cars we were supplied, and we also had unlimited testing. I do believe it was our work from the year before that gave us that slight edge in ’90 that we maintained throughout the season. That was very satisfying, to feel that we’d created our own advantage and saw it pay off. The company was started by a bit of a maverick and run by a bit of a maverick, and then became a business because the maverick was extremely good at what he did. You could see by the results they got in such a wide variety of championships, it was incredible – and it wasn’t one-make championships like now. When I came out of Formula 3 I wanted to drive a Lola in Formula 3000 because it was the car that would perform and they were doing other things as well, so it could also progress your career. 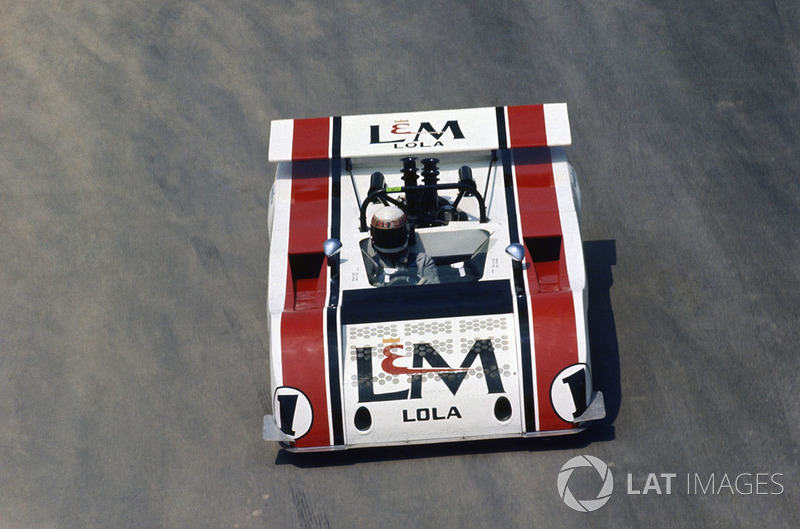 Lola stayed very close to its roots and built on its engineering; it was an engineering-based company rather than necessarily a profit-based company. They were engineers and racers at heart, which is always a good thing in my view. The guys in the Lola design office had been designing a downhill soap box racer, codenamed ‘Secret Soap’. It was drawn on CAD and made out of office hours, and they wanted to put it in the windtunnel. 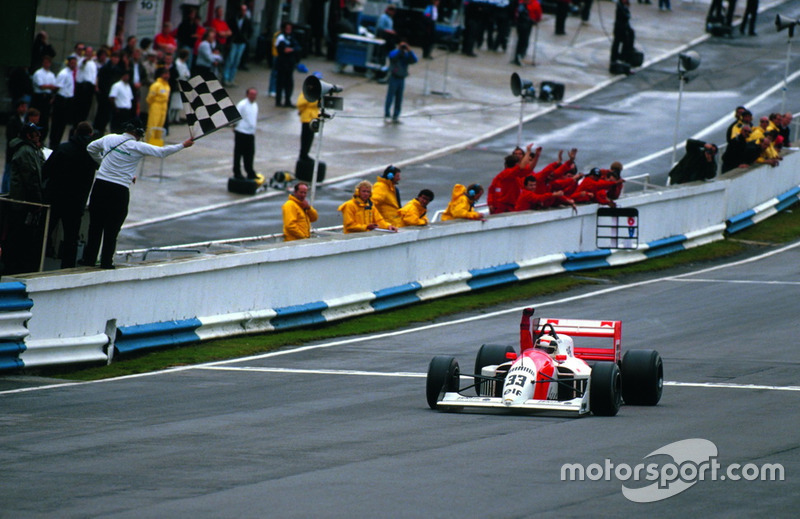 The 1990 car really got us going and set off this run of success for Lola. 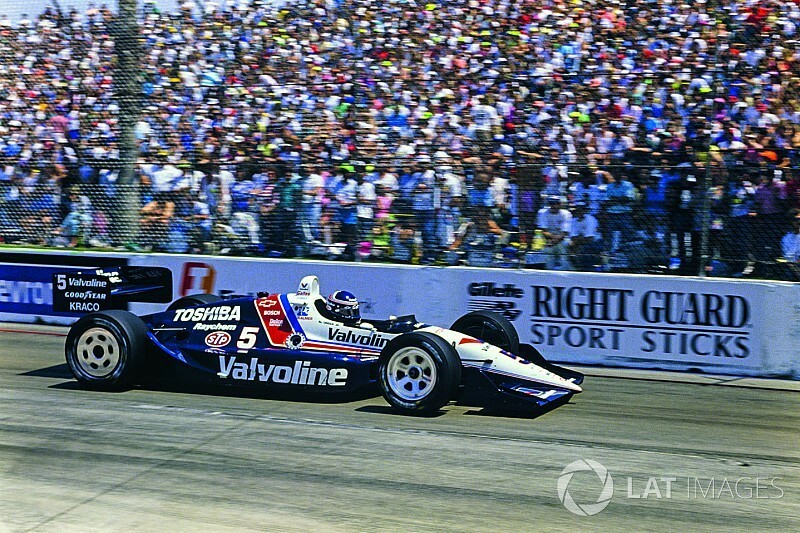 The T91/00 was an evolution of that car and earned us the championship. Because the Lolas were a natural progression from year to year, we understood how they worked and how each change would affect the car. That knowledge had made us efficient. But 1992 was a heartbreaker with the new Cosworth. 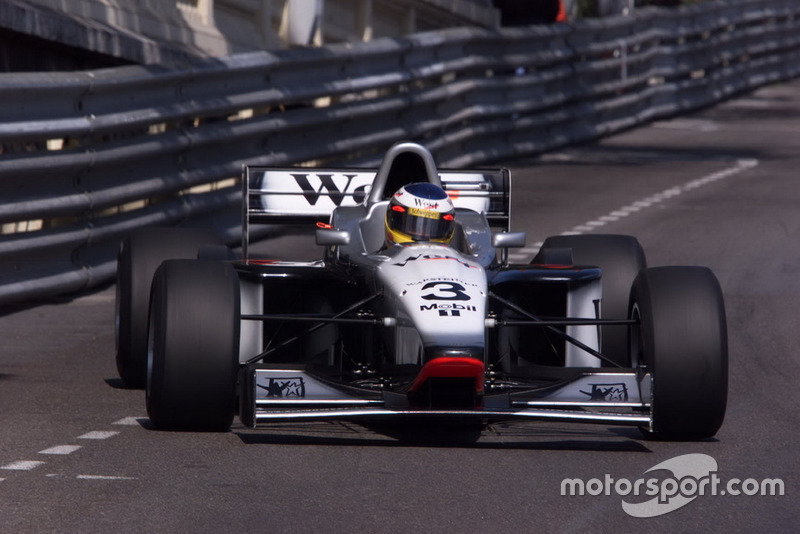 The T92/00 was basically the ’91 car but with a lot of horsepower. We led over half the laps that year and led 12 or 13 of the races and won five, but we dropped out of a quarter of them. It was disgusting! And then the year when it all came together and they got reliability, I gave it to someone else [Nigel Mansell]. We might have won all the races that year! Coming back to Newman/Haas and Lola in 1995 and ’96, again we retired from too many races. In ’96, we nearly beat Chip Ganassi’s Reynard-Honda-Firestone with a Lola-Ford-Goodyear because that T96/00 was really good. It deserved a championship. 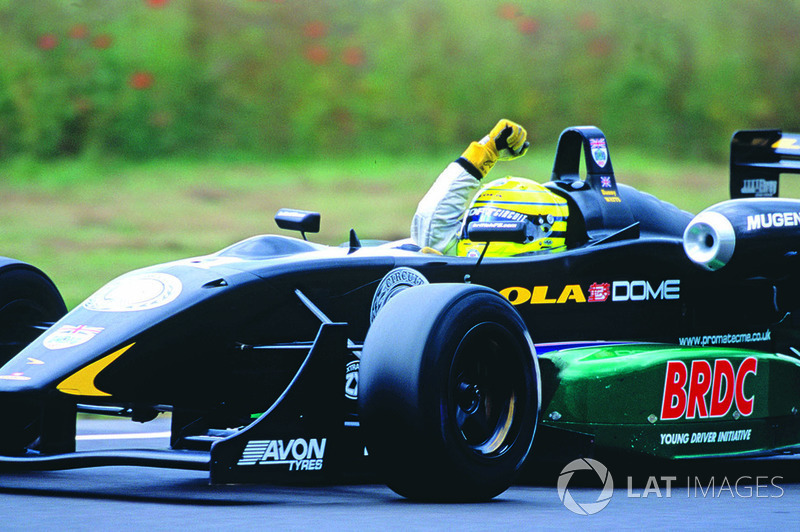 We had two iterations of the Lola Formula 3000 car. I spent a lot of time going back and forth – we used to test in the Lola windtunnel, which is actually a really good facility. At the time Lola was an established, successful car manufacturer and produced a good product that was well-supported, with knowledgeable people with experience that you could talk to about getting spares or any problems you had with the cars. I always thought that they represented the best a product could be at the time, and I thought Lola did a really good job. The great thing about working for Lola was the variety and diversity. One weekend it was Le Mans, the next Champ Car and then maybe a Defence or Aerospace industry exhibition. It was a great place to work. There were some fine achievements on the track during the Martin Birrane era but perhaps my favourite was in Formula 3. In 2002-03 the Lola-Dome was born and the early signs were not good. In fact, Adam Carroll, despite his very best efforts, effectively disowned the car. Dallara had not been properly beaten for around a decade and, after a largely disastrous 2003 debut, all we had in the British Championship for ’04 was a shoestring effort with Danny Watts and Promatecme. We were all on our uppers in one way or another, but this just seemed to galvanise everyone more. 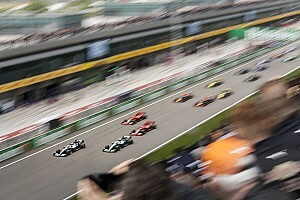 This was the era of Nelson Piquet, Carroll, Lucas di Grassi, James Rossiter and others so the competition was strong. The early signs that year were not that great despite a massive amount of work by the engineers, especially designer Adam Airey, a fiercely ambitious, headstrong guy whose determination was a real force of nature. We arrived at Castle Combe in June that year thinking it could really suit the car. Danny was on a mission to make sure the industry didn’t forget about him. The mission was accomplished as he dominated the first race from pole and won at a canter. The main thing I remember after the race is Adam and I, rather childishly, recreating that famous photo of Peter Warr welcoming Ayrton Senna back in to the paddock after Estoril in 1985! Danny hadn’t a clue what these two idiots were doing. To be the only Lola-Dome on the grid and vanquish all those Dallaras with such strong competition was highly satisfying and a great memory of my time at the company.